Monsters! Monsters everywhere! Fight your way through endless waves of baddies decided to rip you apart. Upgrade your gear in the shop and use more than 15 weapons at your disposal to score a bloody touchdown! Features 17 different enemies, 13 amazing powerups, a skill upgrade system, world leaderboards and as much blood as personality! The featured game for Nov 20 - 23 is here! Get it now! 10% of all sales generated by this deal will go to the featured charity. Little Racers STREET is a much needed refresh to the top-down racing genre! Offering a whole 3D city with lots of different tracks and environmental effects, the game's key relies in the career mode. You'll have to start from scratch, with a low class car. Win races and complete challenges to earn credits, and spend them on car upgrades or purchasing new rides. Featuring 30 different cars, challenging opponents and varied weather conditions, this game offers hours of fun and enjoyment! The game also features an online multiplayer mode for up to 12 racers, integrated with the career mode (you can use your customized cars and earn credits by playing online). There's also a time trial mode with leaderboards, so you can compare your performance against your friends and other gamers. The game has been available on XBox Indies for some time, and was released recently on OnLive, with great user ratings (4+ stars) on both platforms. The top three contributors will win an exclusive IndieGameStand T-shirt! Six Indie Games to celebrate our 50th bundle. Lots of free keys! 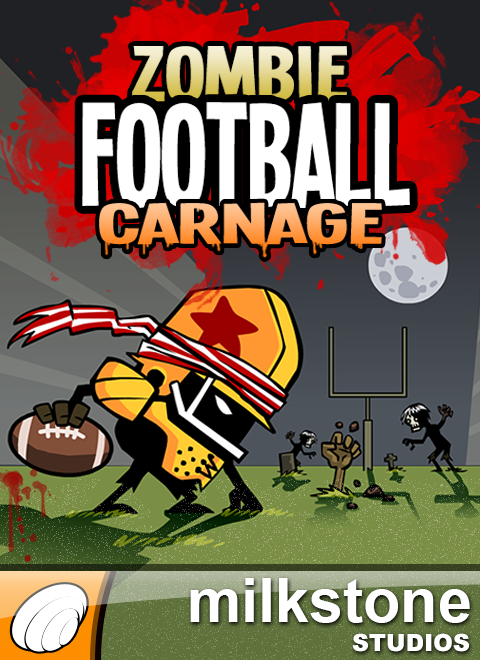 Should entitled Zombie GRIDIRON Carnage. Football is the 'world game'. there isnt a setting available?? no option to cusatomize controll, no explanation..wtf is this? Very charming game. My girlfriend loves it.